Georgia Historical Commission markers near the midpoint and north end of Degress Avenue mark the sites of the Troup Hurt House and De Gress Battery, respectively. Park on the street and walk to the markers. 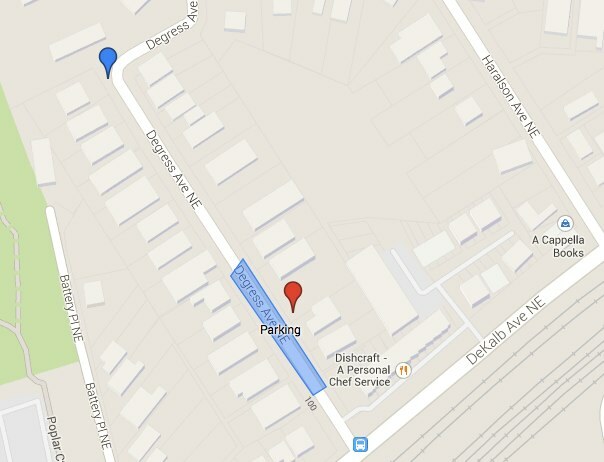 Park on Degress Avenue, near its midpoint as marked in the blue on the map below (click for a larger version). 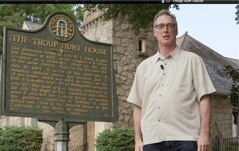 The approximate location of the Troup Hurt House is marked by a historical marker (the red pinpoint on the map). 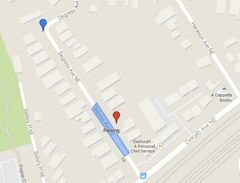 The location of the De Gress Battery is marked by a second marker, further up the street (the blue pinpoint on the map).